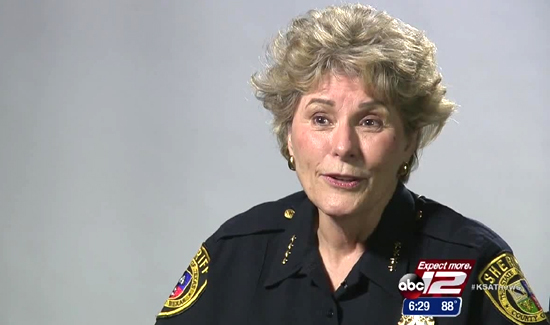 A District Court Judge issues a Temporary Restraining Order against outgoing Bexar County Sheriff Susan Pamerleau. The TRO request was filed by incoming Sheriff-Elect Javier Salazar. Salazar claims Pamerleau is making moves within the department that will cause irreparable harm to his administration. He said she’s retaliating against those inside the Bexar County Sheriff’s Office who helped his campaign and those who are helping with his transition into the office. Salazar also claims Sheriff Pamerleau is trying to demote some of her current command staff to positions within the office that do not exist in an attempt to keep them employed. In a statement, Sheriff Susan Pamerleau said the office’s functions and operations don’t stop even when there’s a change in leadership. “The Sheriff’s Office operates based on Texas statutes, county policy and Sheriff’s Office policy, and any actions taken regarding personnel are strictly based on those directives,” she said, in the statement. The Temporary Restraining Order was issued at 2:13PM Wednesday.